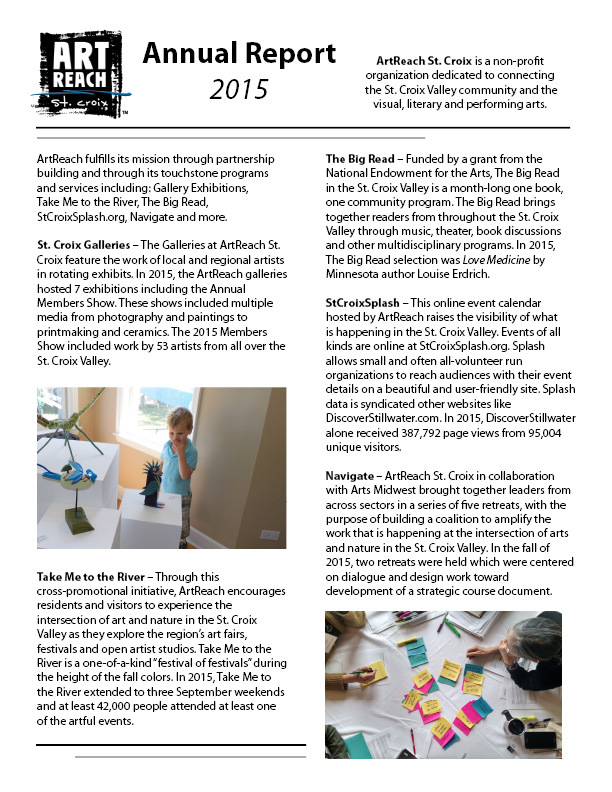 You can also view the ArtReach St. Croix’s (formally ArtReach Alliance) entry on Guidestar. GuideStar’s mission is to revolutionize philanthropy and nonprofit practice by providing information that advances transparency, enables users to make better decisions, and encourages charitable giving. The Minnesota Attoney General’s website has a charities search feature. You can learn more about ArtReach Alliance, or any other registered Minnesota charity, there.